Recently while on vacation in central Oregon, my family and I spent some time at the Sunriver Nature Center and the Oregon Observatory. Sunriver is one of our favorite vacation spots, and when we are there, we always make a point to attend late-night sessions at the observatory. The Oregon Observatory is the largest public astronomical viewing facility in the United States. The Sunriver Nature Center is a private, not-for-profit scientific and educational organization. They offer hands-on exhibits, raptor presentations and interpretive nature walks. We attended a program called Owl Prowl before attending the Observatory program and did some star gazing. To start out, the staff member brought out a great horned owl that lives at the center. It sustained some injuries from being hit by a car and cannot be returned to the wild. It was really cool to get to see such a beautiful bird up close and to learn about the species. After the presentation with the owl, Kody Osborne a staff naturalist gave us a tour of the center’s Nature Trail. The Nature Trail is home to a lot of creatures. One of the tools he used to teach us about the wildlife at the center was an iPad. It was a great way to enhance his presentation and add supportive content to his presentation. In this case, he used an app called iBird. iBird is a digital field guide and is available in on iTunes as well as Google Play. The use of this mobile technology allowed the presenter to share photos and play the songs of owls that did not live at the center. I thought it was really cool. I am a bit of a bird enthusiast myself, so I decided to download the app. I am really impressed by the features of this app. It is not only a great tool for learning, but also a great field resource. In addition, you can contribute by adding your own photos as well via Flickr and Birdipedia, a Wiki integration. iBird also integrates with Dropbox and you can share photos via Facebook and Twiiter. There are a number of other field guides available in the marketplace. 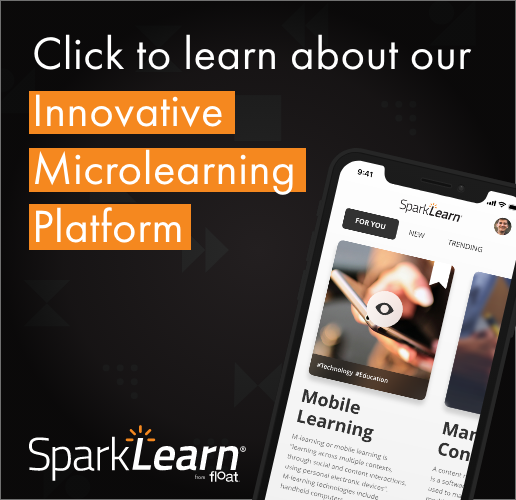 This is a fantastic way to learn and another great use of mobile learning. Start in the class and move to the field… now that’s mobile learning. Jeff Tillett has been working with computers and Internet technologies for nearly twenty years starting as a Graphic Designer and Web Developer. A survivor of the Internet boom, Jeff assisted many startups to successfully build business and ecommerce ventures. His first involvement in instructional design was as a developer for a distance learning Internet start-up. There Jeff and his team crafted a custom LMS as well as all of the content that went in it. Discovering he had a passion and knack for learning design, Jeff has worked for a number of companies as an Interactive Learning Developer and Instructional Designer including T-Mobile USA and Microsoft. At T-Mobile, Jeff lead a group known as the Innovation Team that advocated and piloted emerging learning technologies for the organization. There he built expertise in mobile delivery and design and bring that knowledge to Float as a Mobile Learning Strategist. Great story! FYI, the presenter that night (me) is actually a paid staff naturalist, not a volunteer. Thanks again! Thanks for clarifying, Kody. I have revised this post to reflect that.